Iberg Castle is located south-west of the town of Wattwil. The central keep is six stories tall and has an entrance on the north-west corner. The keep is surrounded by a curtain wall and the castle hill is protected by moats and some walls. 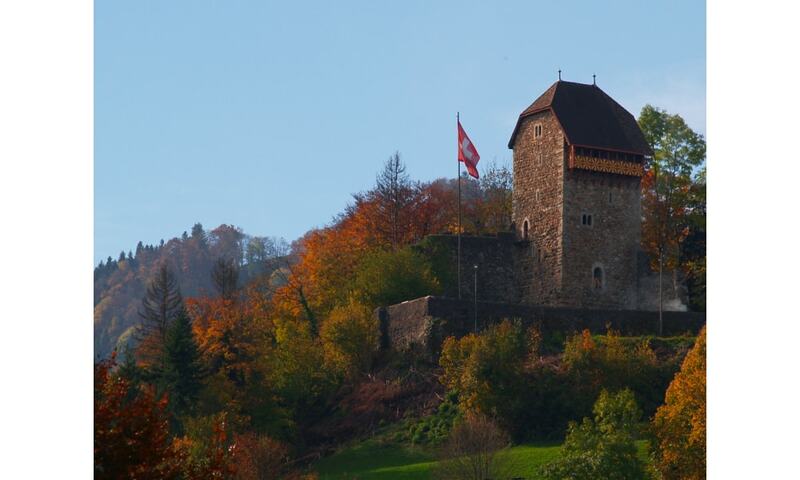 Iberg Castle was built in 1240 by Heinrich von Iberg who was a vassel of the Prince-Abbot of St. Gallen. During the suppression of the monasteries in 1805, the castle became privately owned. Some of the housing was demolished in 1835, but the roof and battlements were rebuilt in 1902 and 1965 by the municipality.